Ahh super leuk is deze!! simple and elegant :) like it! 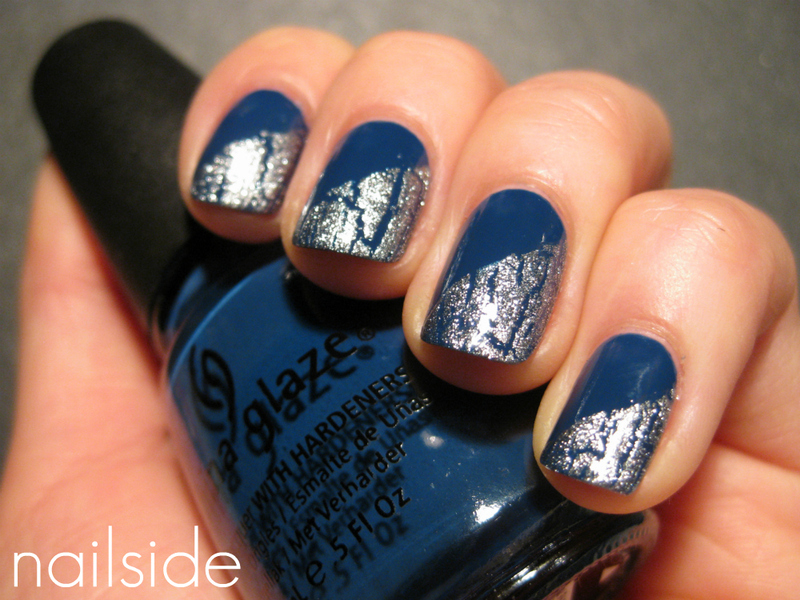 Love <3 Silver looks so incredibly good on this blue shade! For some reason, I am not good with tape mani's, but yours looks great! This looks great. I love the color combo. Did you find that the shatter corroded your tape? It left little tape fragments that were so annoying to get off. Beautiful. Love your blog BTW. Very nice new way to use crackle I like it. First Mate is one of my all-time favorite blues! Heya Jane! I've nominated you for the versatile blogger award (details are on my page). You have probably received it already from your cult following :) but take it as a lovely compliment for me! Lovely nails as always!